Much has been written about the role of the Office of Scientific Research and Development (OSRD) as well as the National Defense Research Committee (NDRC) during the Second World War. One of the NRDC's most famous ventures was the establishment of the MIT Radiation Laboratory (or RadLab) in October 1940. Under the tutelage of Lee A. DuBridge, RadLab scientists engaged in various experiments concerning signal processing, as well as for the design and implementation of radar systems. A spinoff of this research, the Research Laboratory for Electronics, became known for sponsoring Norbert Wiener's experiments on control and communication, the subject of his most famous book, Cybernetics. At the end of World War II, the RadLab published the 28-volume MIT Radiation Laboratory Series (1947-1953). Perhaps the most famous book to come out of the series (and known for being a predecessor to Wiener's Cybernetics) is Hubert M. James, Nathaniel Nichols', and Ralph Phillips' Theory of Servomechanisms (1947). However, for those of use who are more aviation-inclined, Willoughby Cady's, Michael Karelitz', and Louis Turner's Radar Scanners and Radomes (1948), is interesting. 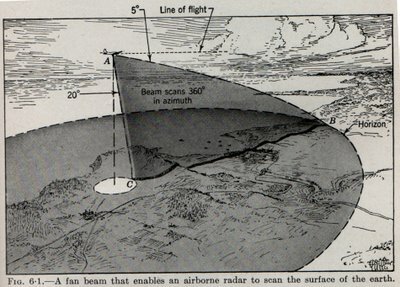 As the image from Cady's book at the top of this post shows, radar systems were first conceived as a way to locate a target on the enemy lanscape. A conical high-frequency beacon emanates at an angle from the aircraft's fuselage, allowing radar operators to detect what was on the ground. The U.S. Army Air Force's principal radar systems were the AN/APQ and AN/APS-7 (or "Eagle"). In brief, the system functions as follows: A train of extremely short but intense pulses of radio-frequency energy is transmitted in a beam from a rotating antenna. An object in the path of the beam reflects some of the energy, and the transmitting antenna intercepts a portion of this reflected energy. The received pulses, or echoes, are detected and amplified on the plan position indicator (PPI scope), where you can determine both the distance to, and the bearing of, the object. 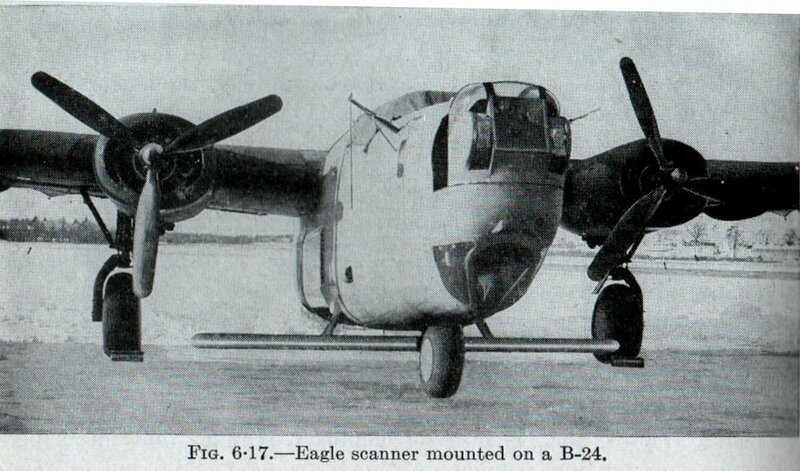 The AN/APS-7 (or “Eagle”) radar was used in conjunction with a Norden M-9 Bombsight for even increased accuracy. The Eagle’s rangefinder system was electronically attached to the Norden Bombsight’s viewfinder, in essence creating a system where the radar system would automatically input standard bombsight range and drift data. The bombardier was essentially demoted. Instead of being the custodian of an awesome weapon, he became a static “radar observer.” The combined Eagle-Norden system, renamed as the Norden Optical Sight Modification system, or NOSMO, would allow accurate bombing from 30,000 to 35,000 feet. 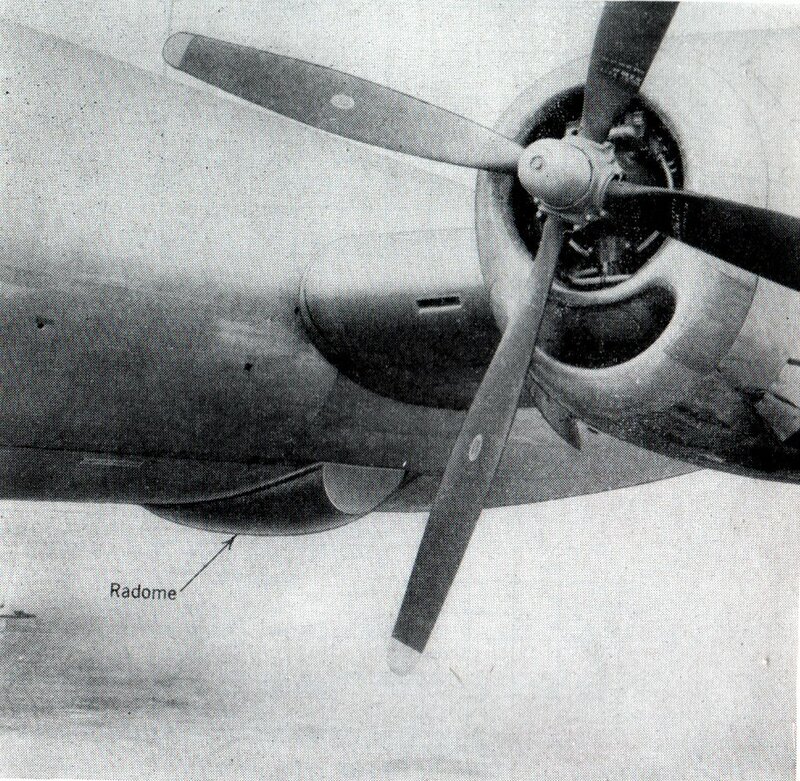 Although Norden bombsights were still used for daylight and clear weather missions, NOSMO would eventually be scrapped in favor of wholly electronic systems.